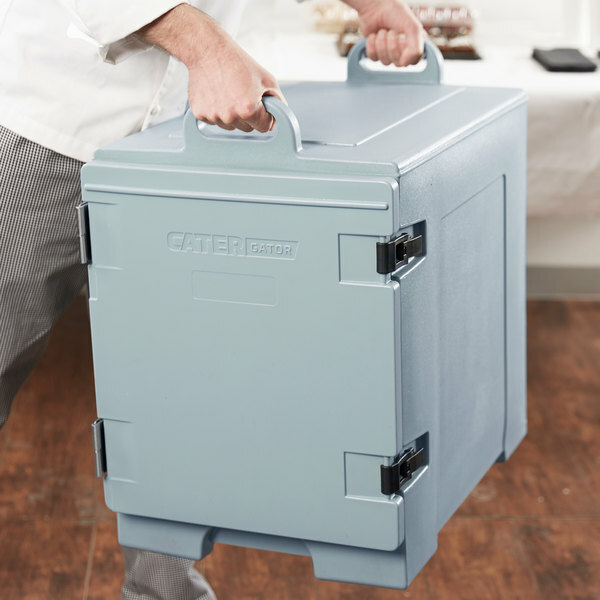 Transport and serve food with ease with this CaterGator 16 3/4" x 24" x 25" slate blue front loading insulated food pan carrier! 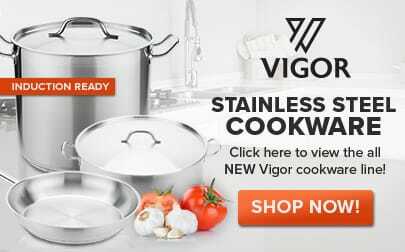 Its thick, reinforced door is fitted with a gasket to ensure high performance and superior temperature retention, helping to maintain the hot or cold temperatures of your dishes for up to 6 hours. Inside, it has end-load tracks that can hold combinations of 2 1/2", 4", or 6" deep food pans for optimum convenience and versatility. 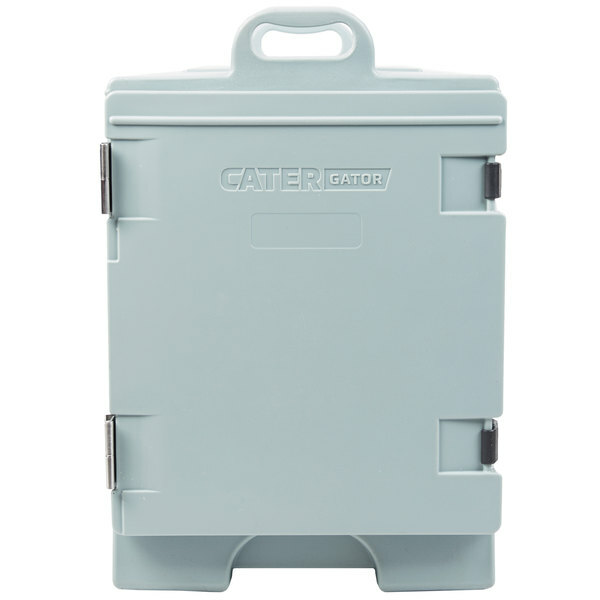 No matter what you're serving, this CaterGator food pan carrier is sure to be a reliable addition to your buffet or event. "This is a great product. I actually went back and bought a second one and am buying 2 more in the next couple of months"
The swinging door is mounted into steel reinforced plates for long-lasting performance. Plus, the durable, plastic latches won't rust or dent like comparable latches. With an extra-strong polyethylene exterior, this carrier is scratch resistant, helping to maintain its professional appearance for years to come. 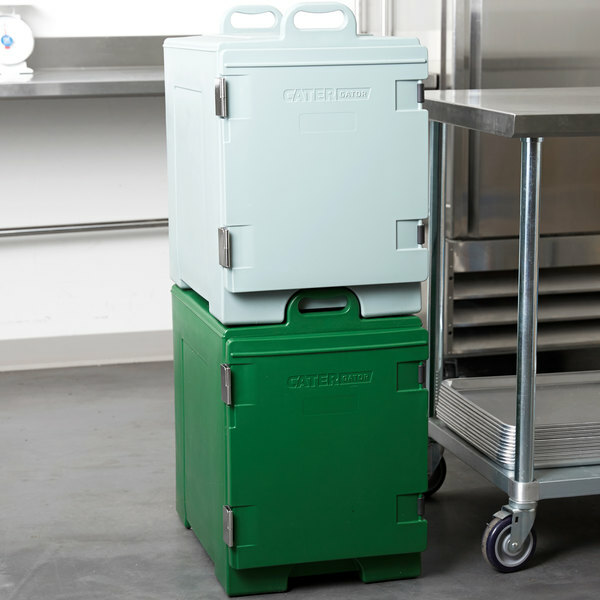 While its easy-grip handles allow for simple carrying, its convenient form can be stacked with identical CaterGator carriers and similar Cambro and Carlisle carriers, allowing you to optimize your storage space no matter what brand you use. Delivering quality products at a fair price, CaterGator is the ideal serving solution for catering businesses, hotels, food trucks, and concession stands. 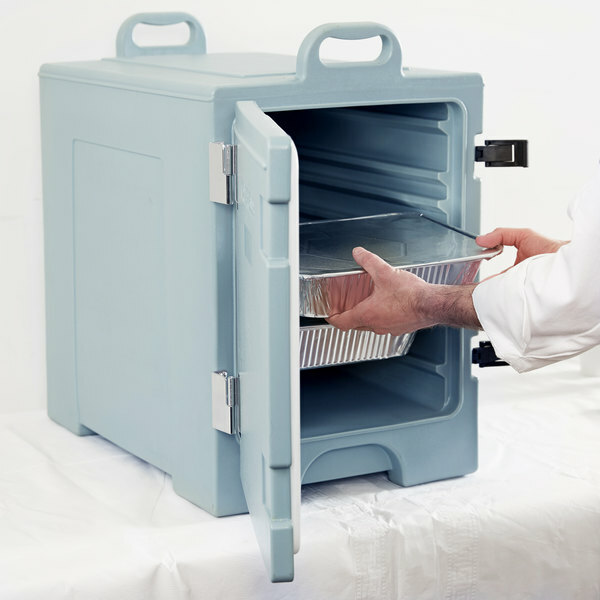 Upgrade your catering services with this insulated food pan carrier! 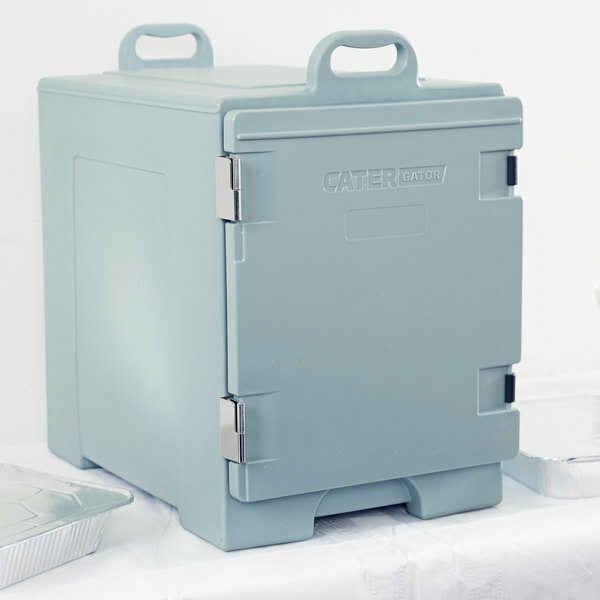 What type of pans are compatible with this CaterGator front loading insulated food pan carrier? This food pan carrier is compatible with Vollrath, Choice, and Vigor brand stainless steel food pans. Other brands of stainless steel food pans may vary in fit. 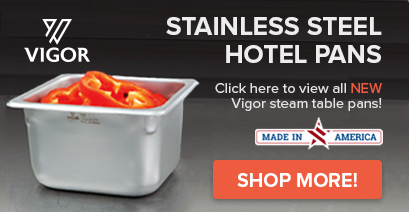 For extra versatility, it is also compatible with most types of aluminium foil food pans. Can I extend the holding time of my CaterGator pan carriers? Yes, by maximizing your carrier’s temperature retention you can extend your holding time. Start by placing your carrier on its back with the opening facing straight up. When dealing with hot foods, pour hot water that is almost boiling into the carrier and close the door. If you are using the carrier for cold foods, add ice instead of water. 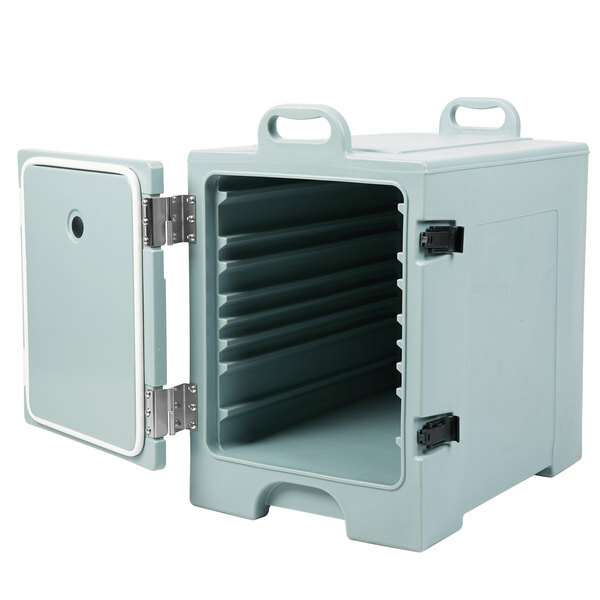 Let the carrier sit with the door shut for 10-20 minutes before emptying, and it is now ready for use! 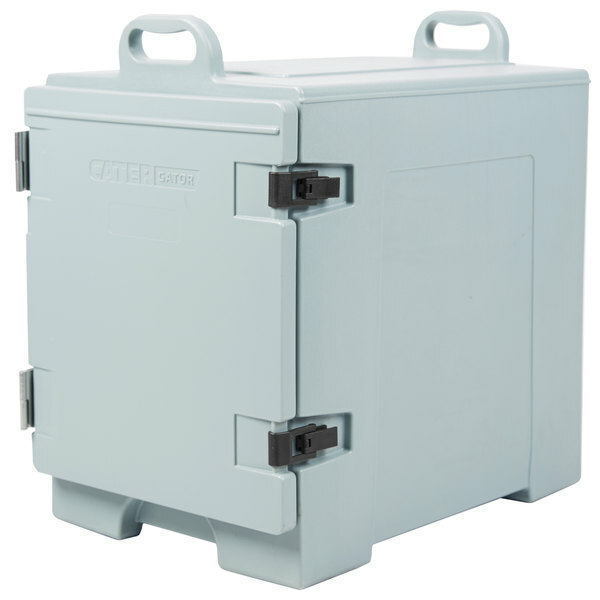 We decided to try this CaterGator as a much cheaper alternative to the Cambro 300MPC131 that we have 6 of already. 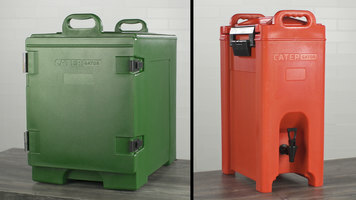 It is compatible with all of the Cambro units we have when needing to stack them together. The CaterGator is surprisingly taller but does hold the same amount of pans. We are very happy with the quality of this product and will buy more of them as they are the same quality at a much cheaper cost to our bottom line. Solid unit. Love the different configurations you can utilize with your pans. You can even slide in doubled up disposables. Seems like it almost tightens down on the pans when you slide them in, giving you extra security of your food staying where it needs to be. This is great to maintain ice for a long time. I recommend it cause it feels sturdy and the price is good. It’s been 3 days that I put ice and it is still there. Absolutely LOVE these! I bought two of them and they each fit five 200 pans. Perfect for any transport for an offsite catering event. They sealed air tight, and there was no leakage from the pans when we transported even when we tipped them, pushed them, tilted them. It doesn't matter how you carry them, they won't leak. Great product! Does exactly what it is intended for. It isn't light. I suggest the use of a sheet tray to avoid spilling, if using disposable foil pans. Fits several half pans. The handles make lifting this carrier very easy, We use these carries for our desserts only which hold our cold items and are not to bulky that the staff can't work with them.